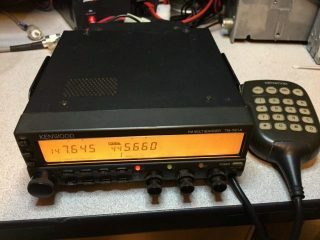 SOARA provides an opt-in Mailman mailing list that allows members to post their Ham Radio related items for sale to other club members and anyone who visits the site. Interested SOARA members are invited to join the mailing list. The SOARA organization and Board of Directors do not provide any warranty or guarantee for the items being advertised, buyer beware! Enter your “real” email address, not your at “soara dot org” alias. You must be able to send and receive email from the address you provide. Once subscribed, you will receive email from other members posting items for sale. When posting to the list, you should provide an accurate description of the item for sale, its condition, and asking price. Replies to postings should be sent to the poster of the item, and not the list. This mailing list may be suspended or discontinued at the discretion of the SOARA Board of Directors should that become necessary.